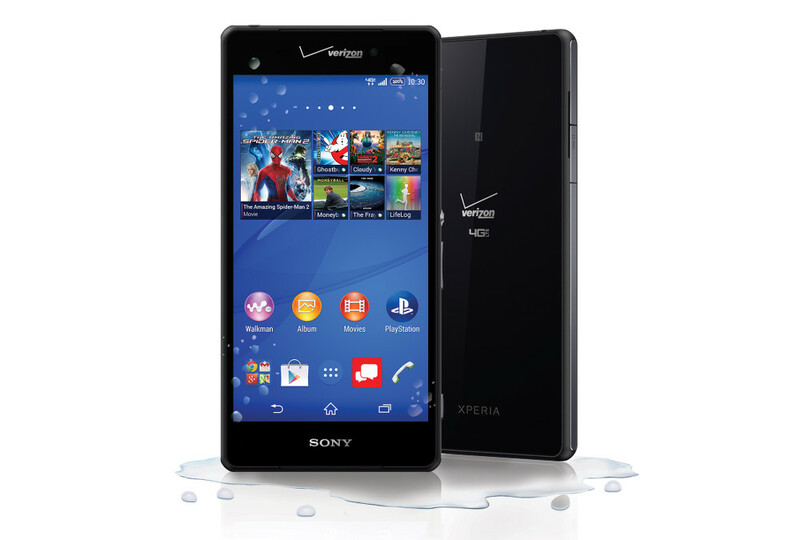 It’s official – Verizon is going to carry the Sony Xperia Z3v on October 23 for $199 on contract. This is the Xperia Z3 that was announced at IFA, but with a couple of new features, like wireless charging and a slightly bigger 3,200mAh battery. Overall, you are looking at a 5.2-inch FHD display, 3GB RAM, 32GB internal storage, micro SD slot expandable to 128GB, 2.5GHz Snapdragon 801 processor, 20.7MP camera, and amazing battery life. Of course, this will run on Verizon’s LTE network and is also still waterproof. Folks, this is your chance to get in on the Sony game without the phone being months and months old. Typically, when Sony announces a new flagship, we don’t see in stateside before everyone has moved onto other devices. This time, you can pick up the Xperia Z3v while it is still fresh and new. NEW YORK, NY — Oct. 9, 2014 — The wait for a Sony smartphone on the nation’s largest wireless carrier network is over. Sony Mobile Communications (“Sony Mobile”) and Verizon Wireless today announced that Sony’s Xperia® Z3v smartphone will be available in the U.S. at Verizon Wireless. The premium Android™ 4G LTE waterproof smartphone is engineered for users to connect, create and share on-the-go with Sony’s innovative camera, sound and display technologies. Starting this October 23, 2014 , Verizon customers can purchase Xperia Z3v from Verizon online and at participating stores nationwide. Xperia Z3v is how a premium smartphone should look and feel. Elegant and durable by design, Xperia Z3v’s sleek build features aluminum sides and a conveniently placed power button. With its tempered glass panels on the front and back and the highest level of waterproofing in a smartphone2, Xperia Z3v is built to withstand life’s surprises so you don’t have to give a second thought to what’s around the corner. Boasting more than a day’s charge3, battery performance is superior on Xperia Z3v and, as a first in a Sony smartphone, Xperia Z3v offers the convenience of embedded wireless charging, using the latest inductive ‘Qi’ technology. To make sure Xperia Z3v keeps up with you when you’re on the go, improved power management features like Battery STAMINA mode and Ultra STAMINA mode help ensure efficient power consumption and a longer-lasting battery life. Capture memories in stunning detail through the combination of the rear-facing 20.7MP camera with 1/2.3” Exmor™ RS for mobile image sensor, BIONZ™ for mobile processing engine and wide-angle 27mm G Lens. Additionally, video clips can be shot and shared in 4K resolution, giving you the power to future-proof your precious memories and moments. Xperia Z3v builds on an already impressive camera experience by empowering users to unleash their creativity with several preloaded Xperia camera apps. Use your front and rear-facing camera simultaneously to create one image with Face in, so you’re not only sharing the moment you’re made to be a part of it. Film different angles using multiple Xperia or Sony devices at the same time using Multi-camera. Storing all that content is a snap, too, thanks to 32 GB of internal memory and a slot for a microSD storage card up to 128GB. Sony has engineered a revolution in gaming technology and made Xperia Z3v one of the first smartphones in the market with the PlayStation®4 (PS4™) Remote Play. With PS4 Remote Play, you can use your Xperia Z3v to remotely connect to your PS4 to play its games, when the living room TV is in use. Simply connect your Xperia smartphone to your PS4 via home Wi-Fi® and use DUALSHOCK®4 Wireless Controller6 with the GCM10 Game Control Mount6 to continue playing PS4 games anywhere at home on Xperia Z3v. Xperia Z3v will be available for purchase nationwide at Verizon Wireless October 23 for $199.99 with a new two-year activation. For a limited time, customers who purchase the Sony Xperia Z3v smartphone can get $200 off a Sony Xperia Z2 Tablet. And beginning today, Verizon customers can register for more information about Sony’s Xperia Z3v smartphone at http://www.verizonwireless.com/sonyxperiaz3v. For a full list of specifications, visit http://www.sonymobile.com/us/products/phones/xperia-z3v/.